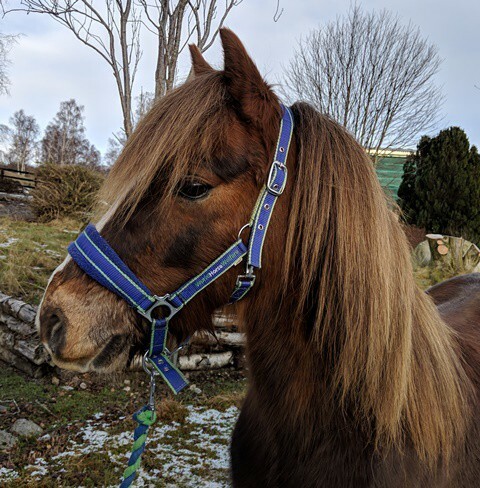 Tyno is a very handsome gelding that is ready to find a new home as a companion to other ponies. Tyno can be a little shy at first but is such a sweet heart once he gets to know you and really adores attention. 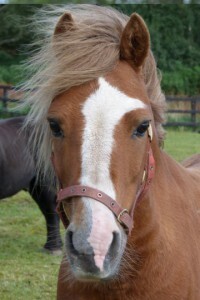 He is only suitable as a companion as he has poor conformation meaning that he would not stand up to any form of work. 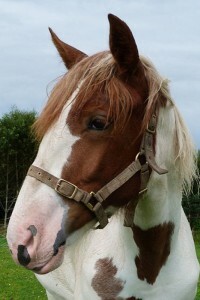 Tyno is brilliant to handle and gets along very well with his field mates. As he can be shy at times Tyno would love someone that has plenty of time to spend with him in order for him to settle into a new home. 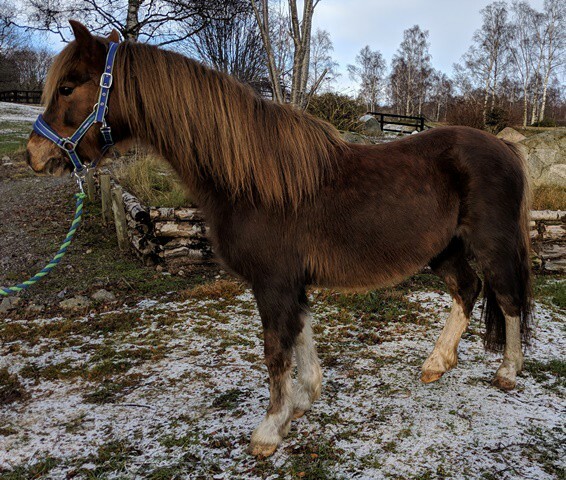 Due to his size and type Tyno will need a home where he can be kept on restricted grazing to prevent him becoming overweight. Please apply online if you could offer this handsome lad a loving new home. 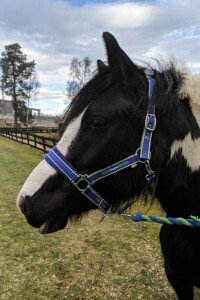 Tyno is an inquisitive pony and is very friendly once he gets to know his handler. 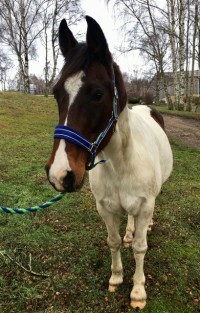 Tyno was part of a welfare case that was taken in by World Horse Welfare's Penny Farm in June 2018. 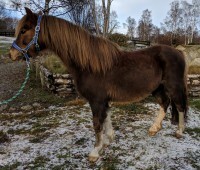 To free up space at Penny Farm, Tyno and five other ponies were transferred to Belwade Farm in July 2018.